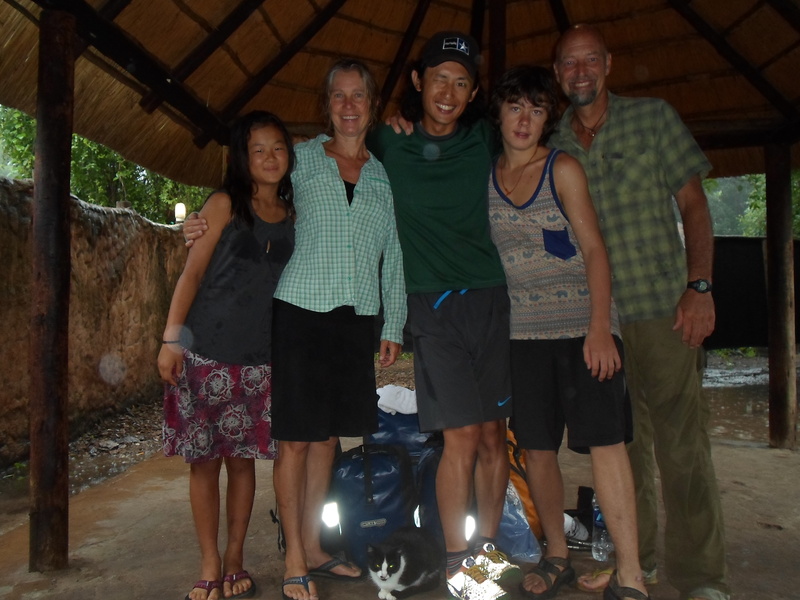 We met a cyclist, Akira, who couldn’t bike through Chobe National Park to get to the border, so we gave him a ride. He thought the hyenas were “so scareful.” We loved having him ride with us. We saw a car that was tracking wild dogs. They told us that lions are at the viewing platform. Here we watched lions for two hours. One of the lions even walked up the platform stairs to scout for prey. Posing? Posing like a jackal. 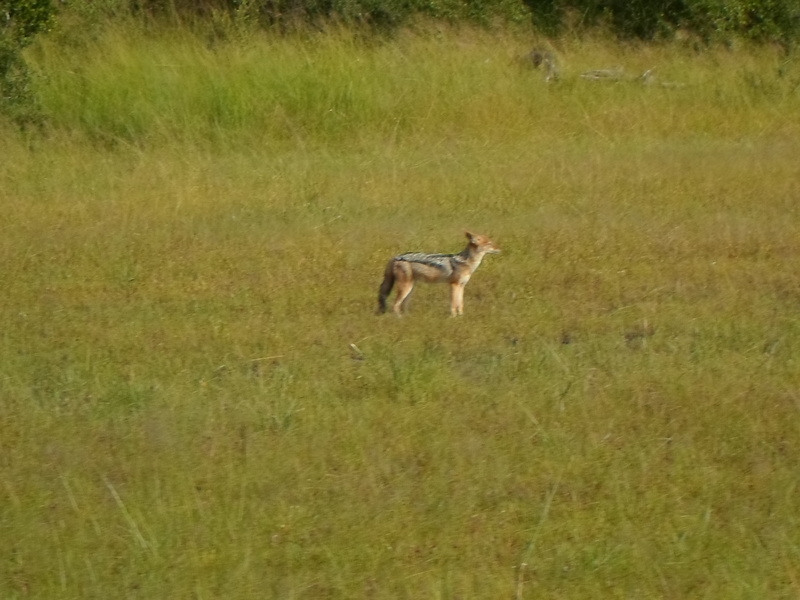 Jackals are everywhere and always fun to see. We even saw a genet walk down the road. 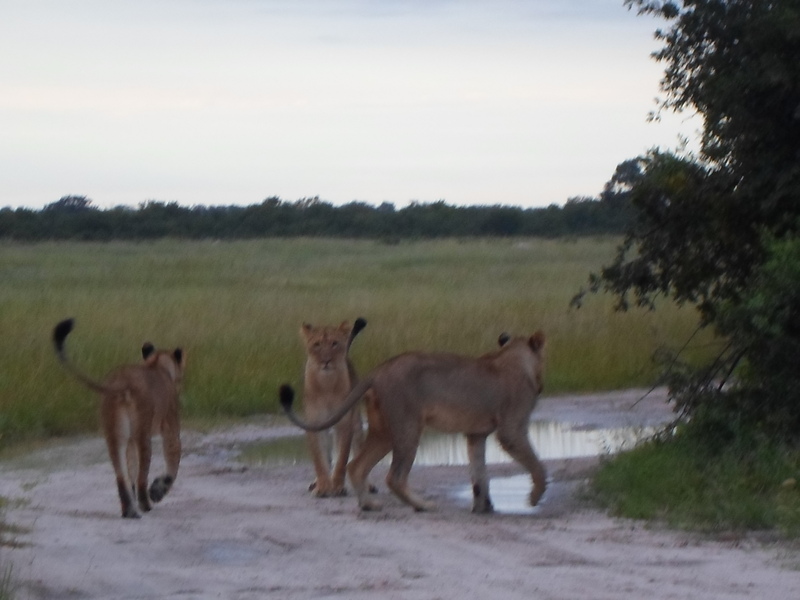 Hwange National Park is not like Kruger, the wildlife is not used to tourists.